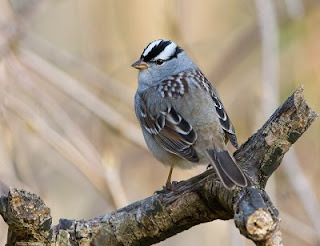 Robert had placed some wild bird seed from Zamzows in various locations along the trail during the prior week which helped us observe the Juncos and White-Crowned Sparrows. 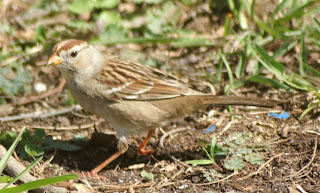 We learned from Habiscapes’ Michael Wiegand to identify the juvenile White-Crowned Sparrows by the brown and buff head stripes as compared to the adults with white and black head stripes. 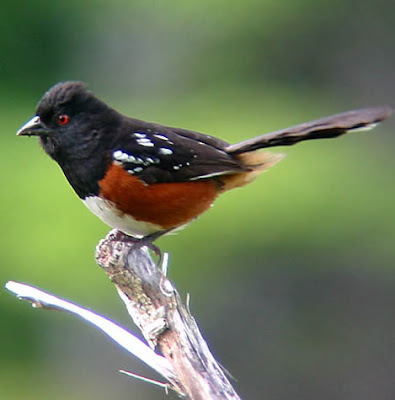 The Spotted Towhee’s were shy but most in the group were able to see them. 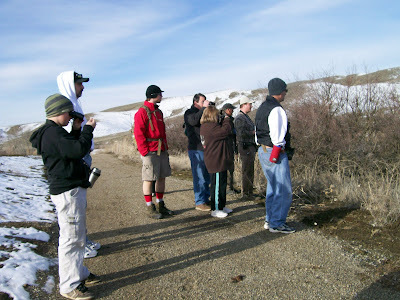 Another experiment was tried using bird calls from the Stokes Field Guide to Bird Songs and the BirdJam software on a Zune MP3 player with a portable speaker. This ethics of this practice is still being debated in the birding world, but I felt we did it responsibly and only for a couple of resident birds. The Song Sparrows responded to every bird call. The Ruby-Crowned Kinglets and the Spotted Towhees also briefly responded before realizing they were getting faked out.